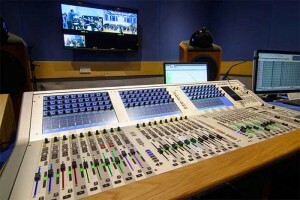 UK - HHB Communications Ltd. has supplied the University of Surrey, home of the world renowned Tonmeister course, with a Studer Vista 1 console. The new purchase is housed in the classical recording studio, Studio 1 where it is currently meeting a wide range of demands for projects covering audio engineering, theory and practical study of music and hands-on sound recording. “There are many Studer Vista owners in the industry, including Chandos, the Royal Opera House, the BBC, and many OB trucks, which makes it perfect for training students for their future careers,” commented Russell Mason, senior lecturer of the Tonmeister course. With the course shaping the next generation of audio experts who have gone on to win Oscars, Grammys, Brits, Mercury Prizes, MPG and Emmy Awards, the demands for this new console were always going to be high. “We are delighted to begin our distribution of Studer by working with such a prestigious University. The Vista 1 delivers to a wide range of applications, ensuring that current and future students will be highly experienced with state-of-the-art technology as they take their next steps in the audio industry,” added HHB sales director Steve Angel.